Pune’s Chandani Chowk is a small neighbourhood, located near Bavdhan. Popular with those who live nearby, it’s a nice alternative even for those who’d like to get away from the busier areas of the city. Here are 5 restaurants around Chandani Chowk that you can dine at. 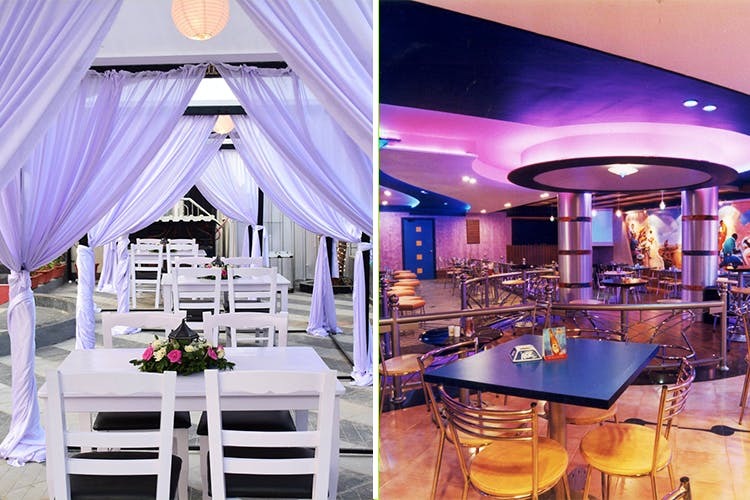 21 Hill Street near Chandani Chowk offers casual dining with Greek-themed decor. Serving the standard Continental-Chinese-Indian fare, they’re also extremely popular for their week-long Happy Hours on drinks – from 12.30PM until 7.30PM. Spread over two floors, their rooftop space is especially popular owing to their view of the sunset. Head here for post-work drinks with your friends, or on a romantic date; their prices are reasonable, and we hear their Indian fare is worth a try. Greenlland Restaurant at Chandani Chowk serves an extensive list of Indian, Chinese, and Continental fare at pocket-friendly prices. Choose from indoor or al fresco seating, and try their tandoori prawns, chilli chicken, and Indian gravy dishes. There is a bar on-site as well, so you can wash it all down with a chilled beer or the liquor of your choice. Cafe Peterdonuts is located on Pashan Road, just off Chandani Chowk. From burgers and pizza to ramen and rice bowls, sizzlers, pasta, appetizers, breakfast foods, thick shakes, hot beverages, and much more – you can grab a wholesome meal here at any time of the day. Go for their hot chocolate, waffles (with an extra scoop of ice cream), pastries, Diane chicken, sizzler truffle donut, and rich cold coffee. They’re extremely packed on late evenings and weekends, so plan your visit accordingly. Apache Fluid Lounge near Chandani Chowk is just one of their four locations in the city. A lounge-bar, they proudly serve a ‘heady mix of drinks and music’, and are popular with the party-crowd. Guzzle on imported beer and beer cocktails, the Apache ‘Beeritas’, alcopops, conventional classic cocktails, or just pick the liquor and mixer of your choice. Their menu is a mixed bag of cuisines and popular dishes, like fully loaded nachos, ‘nuclear tacos’, five-spice crispy wings, Bombay fish Koliwadaa, etc. and is largely comprised finger-food. It’s value-for-money food and drinks, and a fun spot to hang out with your friends. R1 Bistro is located at the end of Chandani Chowk, on Mulshi Road. Sit out and enjoy the view from their al fresco terrace dining area, or enjoy your meal under the twinkly lights in one of their ground-floor cabanas (which are currently out of service for the monsoon season). Their pleasant ambience makes it ideal for a date night or dinner with your family. The cuisine offered here is mainly Indian and Chinese fare, with new Continental dishes being added to the menu – all of which we hear, are quite delicious. They also screen live sports matches on a big screen and serve alcohol at very reasonable rates.